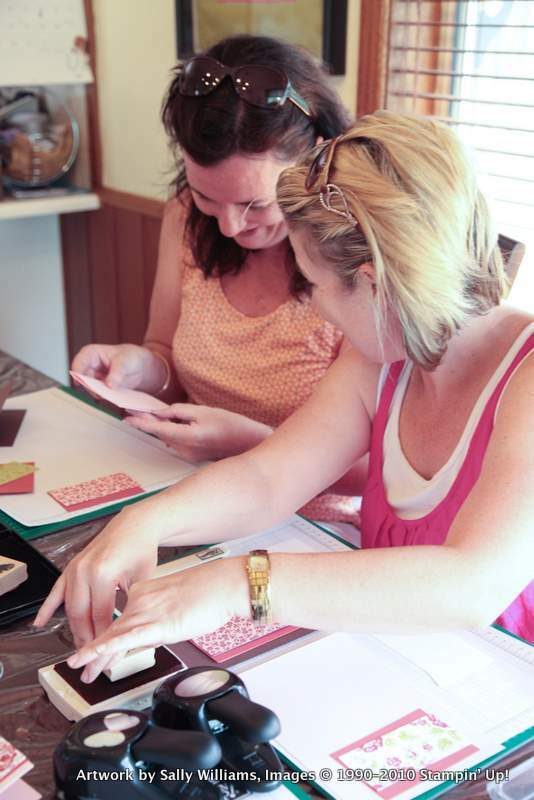 Workshops are great fun and offer a hands-on opportunity for your and your friends to play with Stampin' Up! products first hand. Over a few hours in your home, I demonstrate some great projects using different techniques and products, which showcase a range of Stampin' Up! products. These projects are a gift for you - the hostess - to keep. This is followed up by an opportunity for everyone to try the products and complete a free make-and-take project. As a gift for hosting you'll receive, absolutely free, the stunning Idea Book & Catalogue full of ideas for cards and scrapbooks. You can also earn free stamp sets, available only to hostesses, and free Stampin' Up! products of your own choice, based on the sales of your workshop. 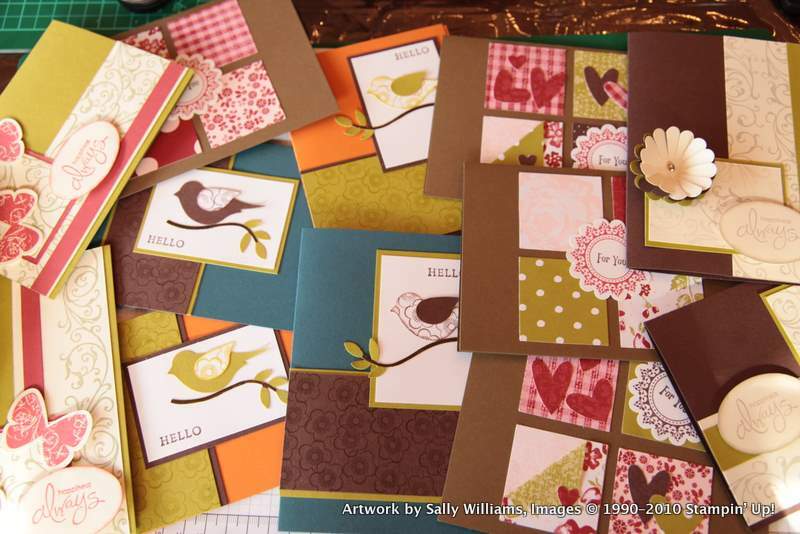 Email me at info@sallycancraft.com to book your own workshop. I can't wait to get crafting with you!